We all know veggies are good for us to eat, but sometimes it’s hard to get all of our servings in at lunch and dinner. You can make all kinds of veggies for breakfast: spinach, kale, garlic, mushrooms, tomatoes, zucchini and more. 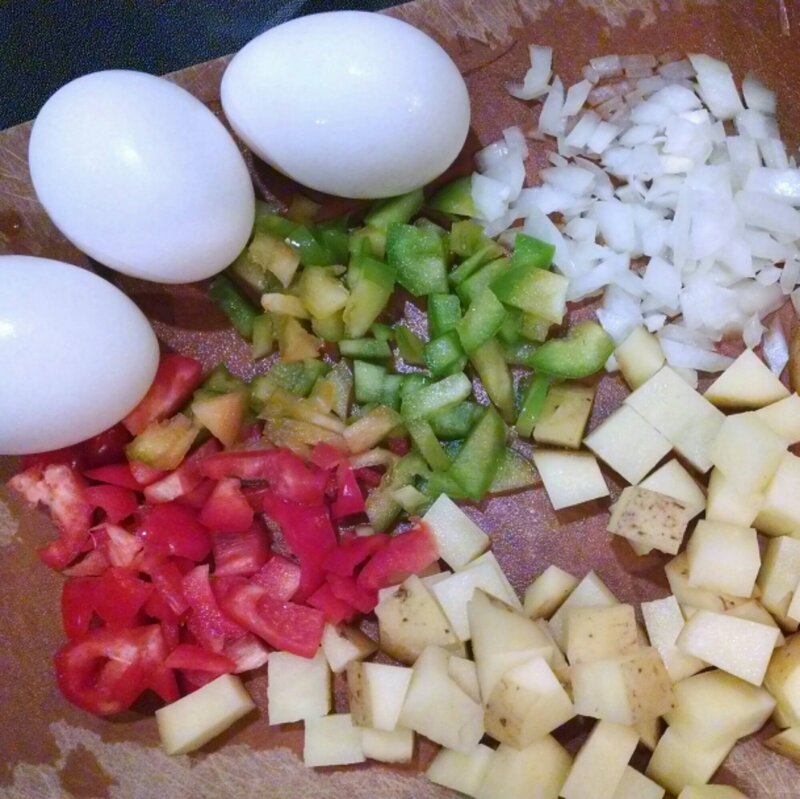 Two of the easiest ones I find to chop cook and mix in with eggs are peppers and onions. For breakfast today I chopped a 1/4 cup of Yukon Gold potatoes, a few slices each of red and green p stop peppers and sweet onions. Sauté veggies in a little butter or olive oil until slightly browned. Then either fry or scramble some eggs with them and serve. Congratulations you just got more veggies in your day!